Attention students: discount tickets available! 1) The Elevator Project is an initiative that brings the work of several small-scale theatre companies to the Wyly Theatre in the Dallas Arts District. Student tickets for the first production of the series, “Year of the Rooster” are only $10. This show runs August 22-September 6. 2) The new Off-Broadway on Flora series begins in the Dallas Arts District as well. Buyer and Cellar is the first production, which is a show that ran Off-Broadway for over a year and won many accolades. Student tickets are available to us for $15. The show runs September 3-6 at the Dallas City Performance Hall. I am lucky enough to have received funding for this initiative from the Engaged Learning program at SMU, whose mission it is to ensure all undergraduates have opportunities to learn beyond the classroom during their time as a student at SMU. I attended and volunteered at the Engaged Learning expo yesterday in the Miller Events Center in SMU’s new Moody center. Not only was it a lovely event put on by the fantastic Engaged Learning staff, but it was also a reminder to me how lucky we are to go to a university such as this one…a school where the Provost opens his speech by looking at each of us beaming students in our white Engaged Learning shirts and says that his shirt is starting to get old and smelly because of how frequently he wears it during his morning walks around White Rock Lake. “You can even ask my wife,” he said. The program is designed to complement the work that students do in the classroom. Each student has a mentor who guides them through their project, asking questions, encouraging them and pushing them to do their very best. And here is a final plug for Engaged Learning…SENIORS!!! Do you have a senior project or thesis that you think would be a fantastic Engaged Learning project? Don’t fear – there is still a deadline for you! Go onto the website and subscribe to EL’s emails for more information! when SMUST is back on its feet again! Follow the organization, sponsored and funded by the theatre division and run by all students! Check out the remaining August listings, along with September and October happenings in the Big D here! Why is Stage and Cinema Being Removed from Review Lists? I first had the opportunity to go to the Nasher Sculpture Center in the Dallas Arts District in the fall of my freshman year. Our Dramatic Arts Today professor in the division of theatre at SMU Jim Crawford took our entire BFA class on a tour of the Nasher, the Dallas Museum of Art, along with various theatres, performance halls and other venues. Since then, I’ve been lucky enough to go several more times, often just to peruse and other times for specific viewings and events. 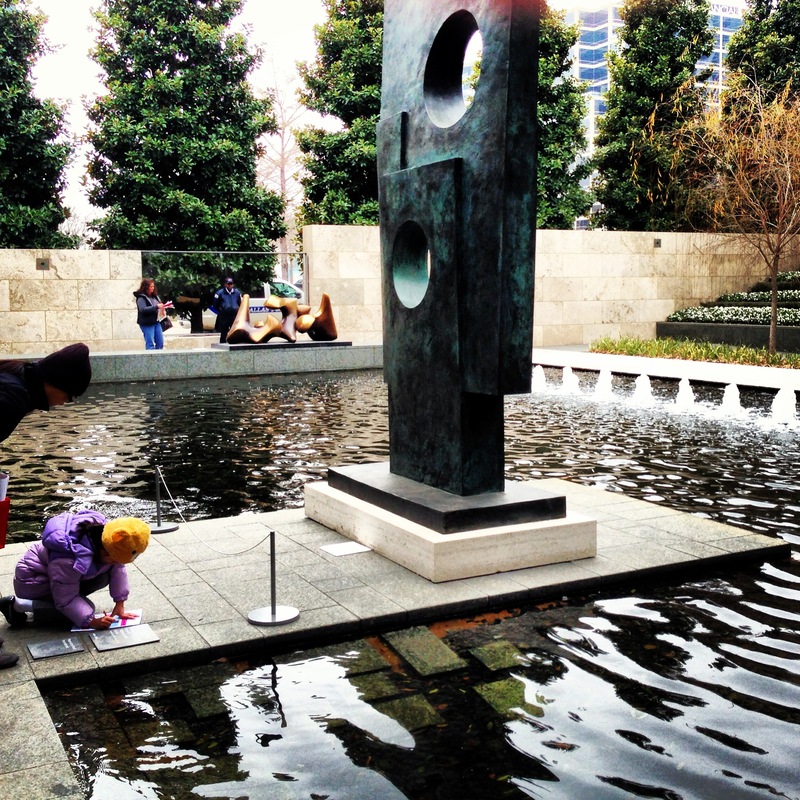 I took this photo on one of the Nasher free Saturdays in the spring, where all kinds of programs and activities are offered for the whole family. I found this shot particularly intriguing because I caught this young girl in the act of diligently completing her drawing. The Nasher was packed with families on this particular Saturday, which was a joy to witness. 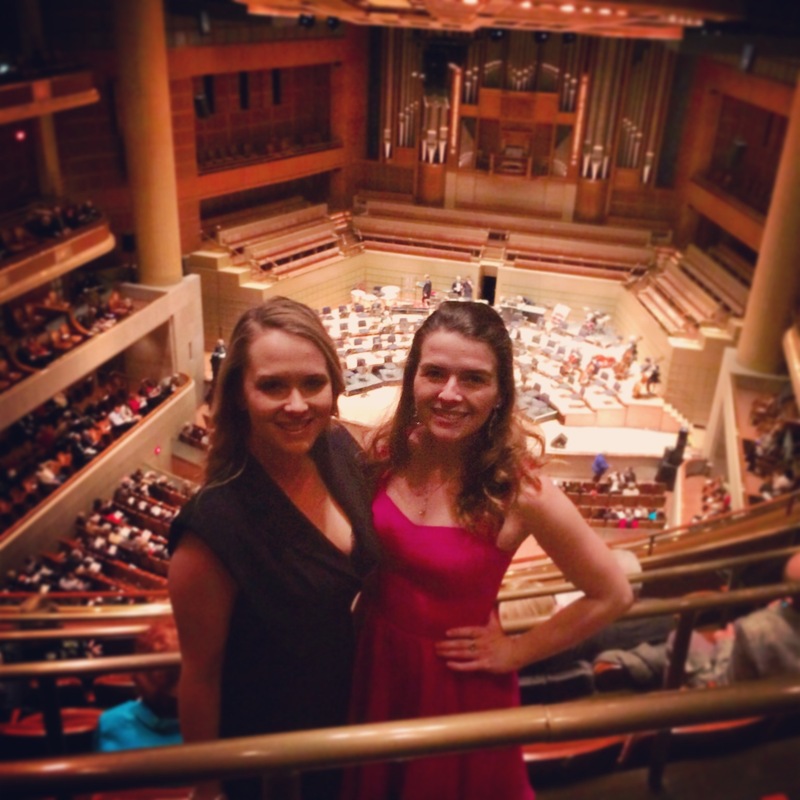 #FBF: I was lucky enough to see Bernadette Peters live at the Dallas Symphony Orchestra this semester with my best friend. This was a dream come true and I cannot put words to how genuine and organic Miss Peters’ performance was! Read my review from this February 2014 performance here. I am so lucky to have been able to work as the Public Relations and Social Media Intern with Dallas Theater Center this summer on #DTCLesMis. I worked under the Director of Public Relations for the company, Kelsey Guy, and I learned so much about the business in a lot of ways I hadn’t before. The show runs until August 17 at the Wyly Theatre in the Dallas Arts District in downtown Dallas. The show has received all kinds of press – both regional, national and international. What has been most incredible about working on this production from a public relations and marketing standpoint is the breadth and depth of viewers and fans that this production has reached! 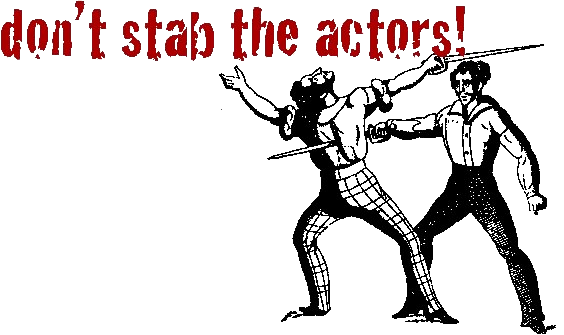 It seems like my theatre friends all around the states are talking about it and posting links, photos, etc – even if they are living nowhere near Dallas.